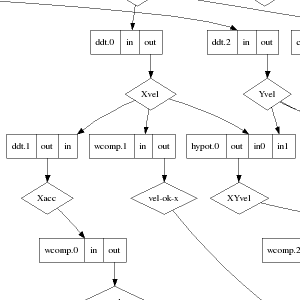 After Tom P. manually converted part of a HAL configuration into "dot format" to produce a nice png drawing, I have experimented with doing it automatically by parsing the output of halcmd. Here is the program, as well as some of the results. The example files show the simulator mill (with check_constraints.hal loaded) and the simulator lathe.